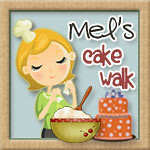 Cake Walk: Cake Walk Featured on Cake Mom! This month, Cake Mom is featuring various readers' cakes as part of her Birthday Month! I submitted a few cakes for consideration and the first one has been featured today! 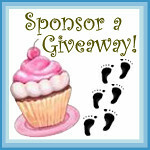 Be sure to check out the post and her blog! Lot's of great ideas and giveaways there! Also, I want to take a second to comment about my last post regarding flowers on a wedding cake. By no means did I intend to implicate either the florist or the bride for providing too few flowers on the first cake. Sometimes it is difficult to estimate the number of flowers needed to complete the cake design. If it were my choice, I would always order way more than I think I need...just in case. But, alas, it's not my dollar that's being spent! So therein lies the problem. Everyone involved (florist, cake decorator, bride, etc) wants enough flowers for the cake but also wants to spend the least amount of money on the flowers so extra money can be spent on other little details for the wedding. Of course, we at Ms. Debbie's do not make ugly wedding cakes. *wink* We will adjust the cake design if we need to in order to accommodate the flowers that are left for us. In fact, the second cake in yesterday's post was also supposed to have flowers under the bottom tier. We did not have enough for that so we put some extra fabric to good use. You didn't miss that extra layer of flowers, did you? And had I not pointed out the lack of TONS of flowers on the first cake, you would have loved just as it was, right?